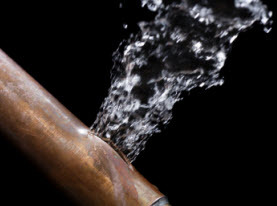 Anytime you have a plumbing problem it can truly disrupt your life. A healthy plumbing system is essential to a smooth running home. The certified plumbers at Randall’s Plumbing offers quality plumbing services that will keep your system running properly. With a long list of comprehensive plumbing services, there isn’t a plumbing repair or installation that we can’t handle. Here is a short explanation of some of the services we have to offer our valued customers. There are several fixture upgrades that you can have installed in your home including a touchless kitchen faucet, new showerhead or an upgraded toilet, the plumbing specialists at Randall’s Plumbing have got you covered. 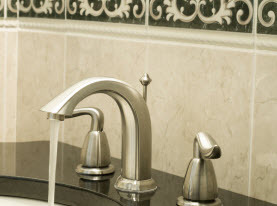 You would be surprised at how much some simple plumbing fixture upgrades can change the overall look of your house. If you are thinking about listing your house for sale, installed new plumbing fixtures can be a great way to give your home a facelift and appeal to a wide range of buyers. Your plumbing is one of the major systems found in your home. Having the pipes inspected to ensure they aren’t in need of any repairs can end up saving you serious money down the road. Whether your pipes are made of galvanized steel, copper or polybutylene, it is important to have them inspected issues. This is especially true if you live in an older home that may have years of wear and tear on the plumbing system. 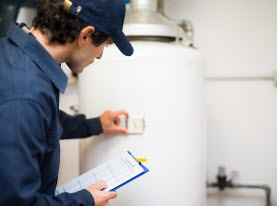 We can give your system a thorough inspection and rule out any major and minor problems that may be present. As you run your business, keeping the building in working order is a top priority. The plumbing system is one of those components. It doesn’t matter if you are in need of routine maintenance or emergency repairs, the plumbers at Randall’s Plumbing will handle it. We have the training and experience needed to keep your plumbing running efficiently and effectively so you have no set backs with your business. The next time you are in need of residential or commercial plumbing services, call on the certified plumbing team at Randall’s Plumbing. We have the equipment and experience needed to handle all of your plumbing needs from small repairs, routine inspections and emergency repairs. We value our customers and strive for excellence in customer service. Call us today! © 2018 Randalls Plumbing. All rights reserved.